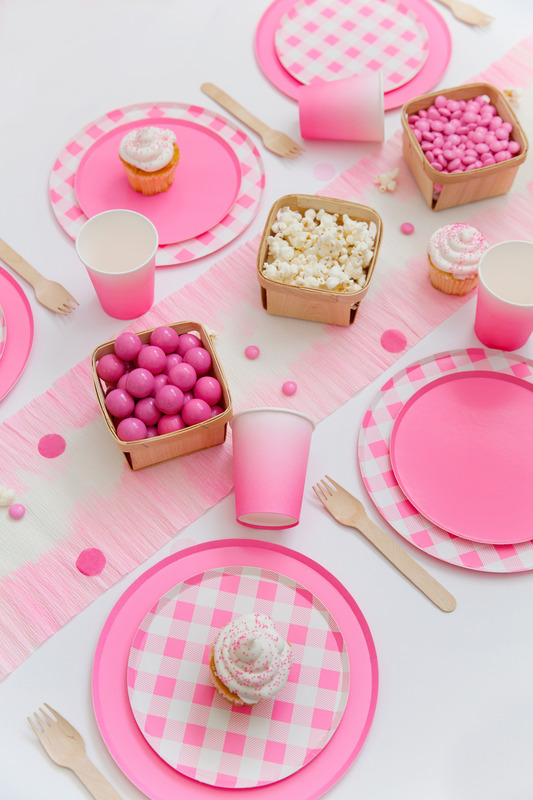 A pink picnic party might be all my dreams come true! 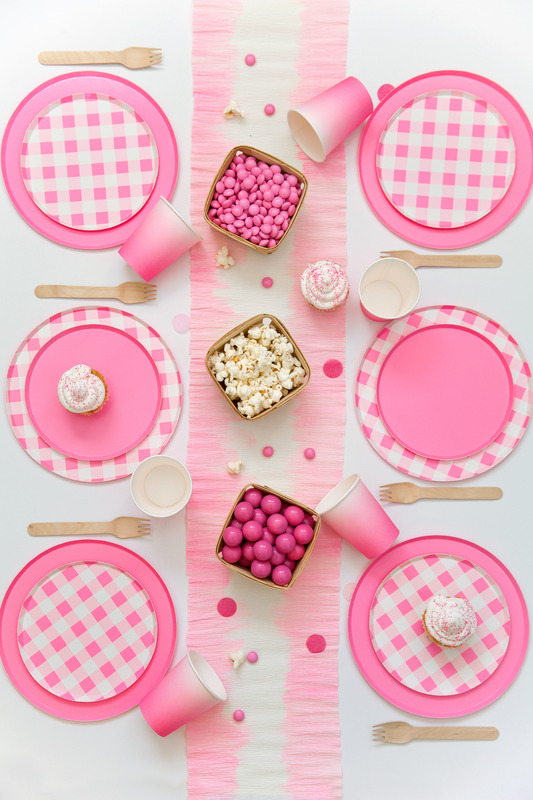 Forget the red gingham and replace it with these AMAZING Oh happy day pink gingham plates. 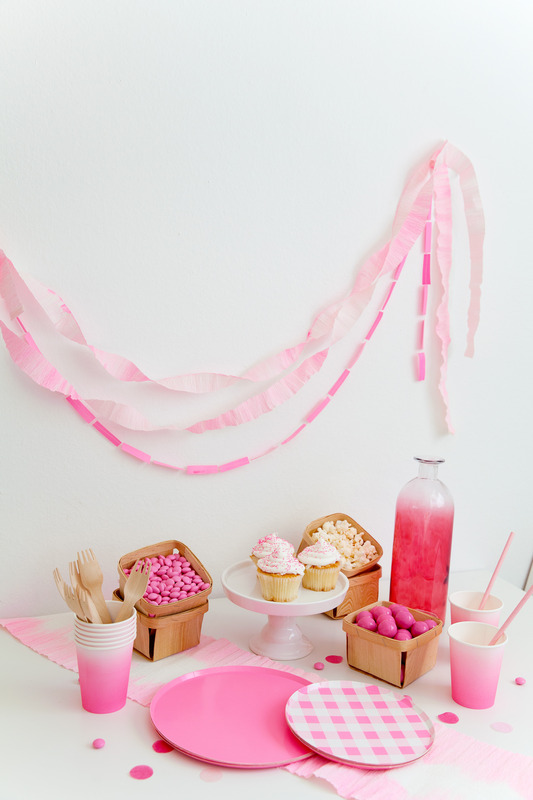 Im showing you how to throw this adorable pink picnic party and how to make this simple, cheap and way cute table runner. So embrace the pink! And get all the tips and sources below. 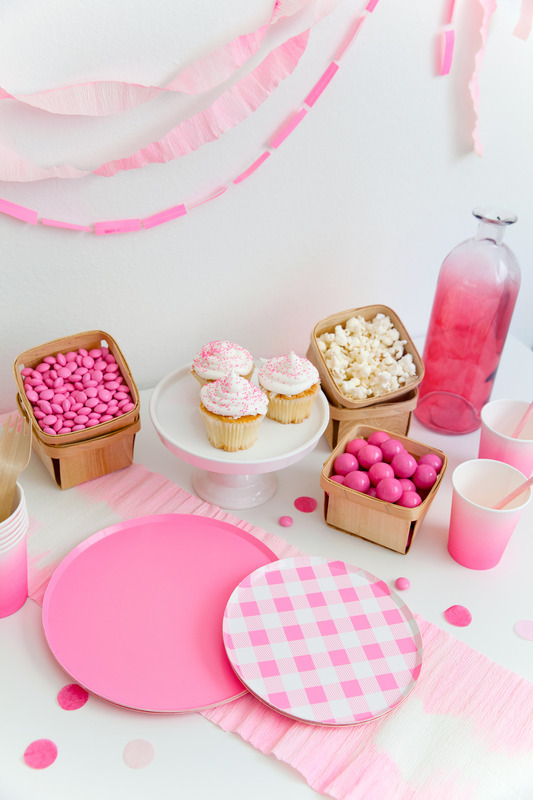 Being a mom of all boys I don’t get to throw a lot of pink themed parties BUT when I get a chance I go ALL out! Give me alllllllll the pink! 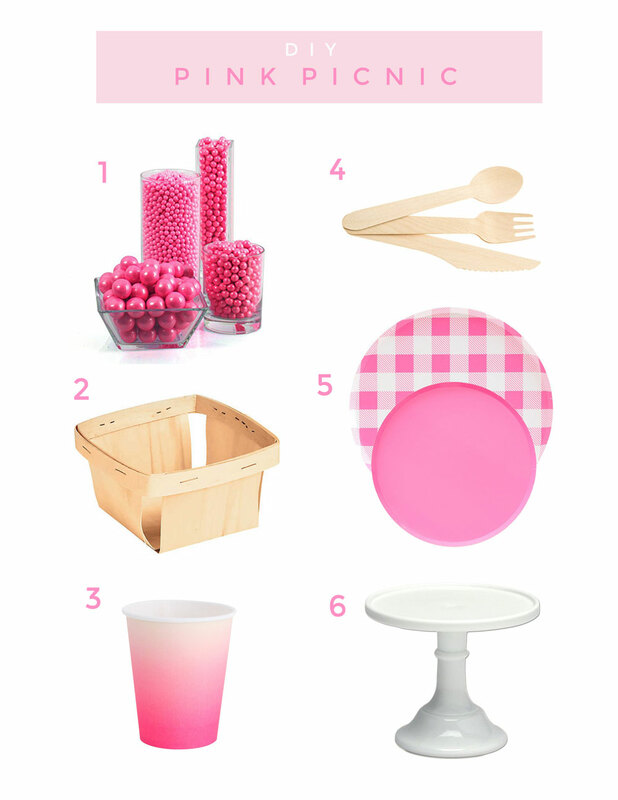 The best part about this pink party theme is the simplicity! It is oozing pink but also has an earthy feel with the natural wood elements scattered throughout. 1. Pink candy! A fun way to carry the pink over to the food! 2. These wood baskets are such a pretty way to display treats and food and help give the whole party that “picnic” feel. 3. 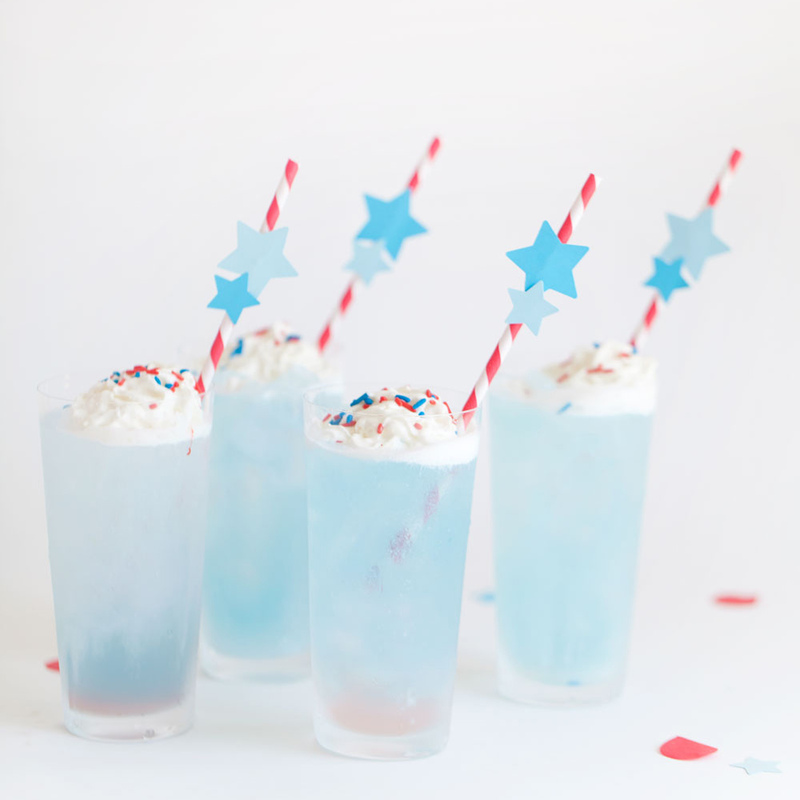 These ombre cups are soooo gorgeous! 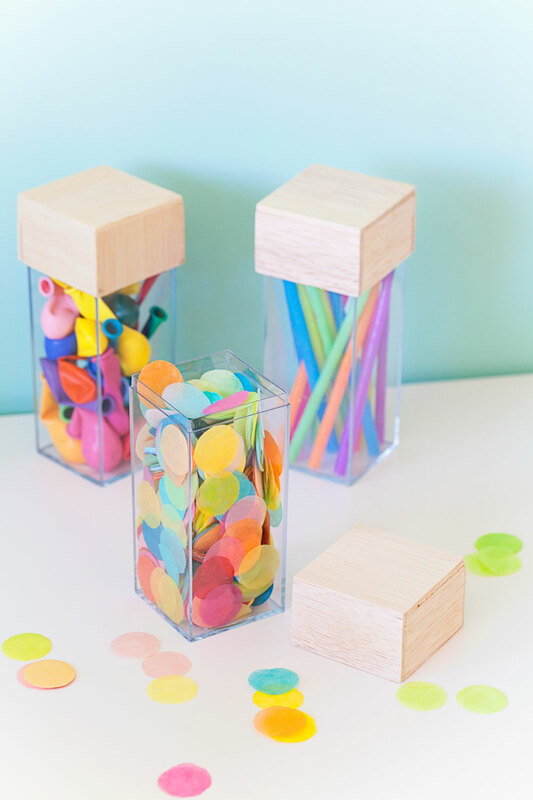 And so much more fun than the classic paper cup. 4. Wood cutlery is always my favorite, its just so pretty and versatile. They also help tie together the wood baskets. 5. 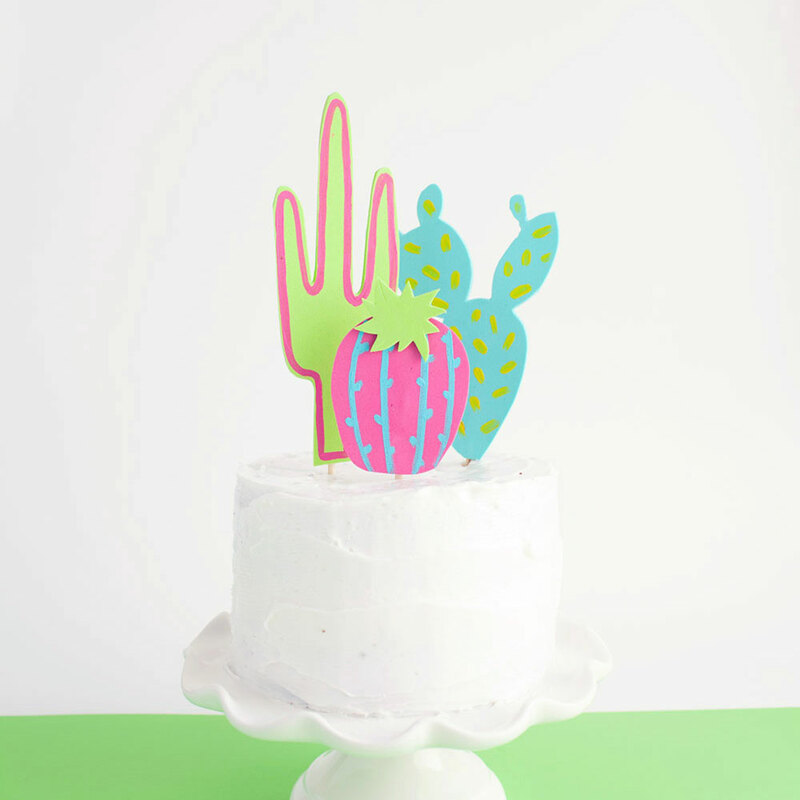 These Oh happy day plates MAKE the party! I mean that pink gingham??? I am so obsessed! I alternated between the pink gingham and neon rose plates. 6. White cake plates are my go to at any party. I use them ALL the time and I love all different sizes, so I am loving this smaller cake plate, perfect for smaller treats and cupcakes. 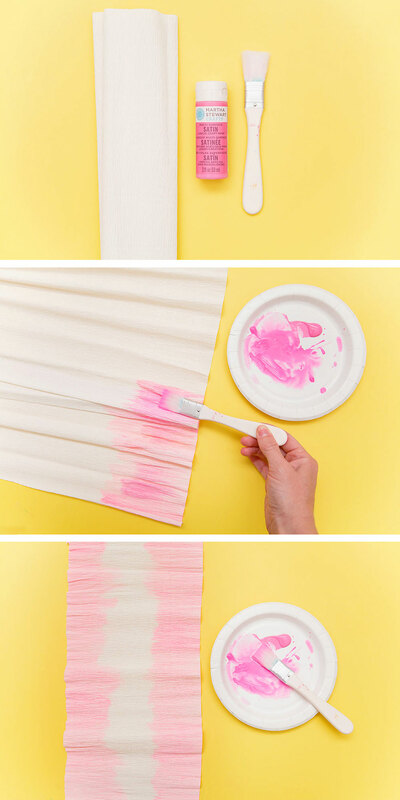 Lastly is this WAY cute DIY table runner! It takes about 10 min to make and adds so much to the decor. 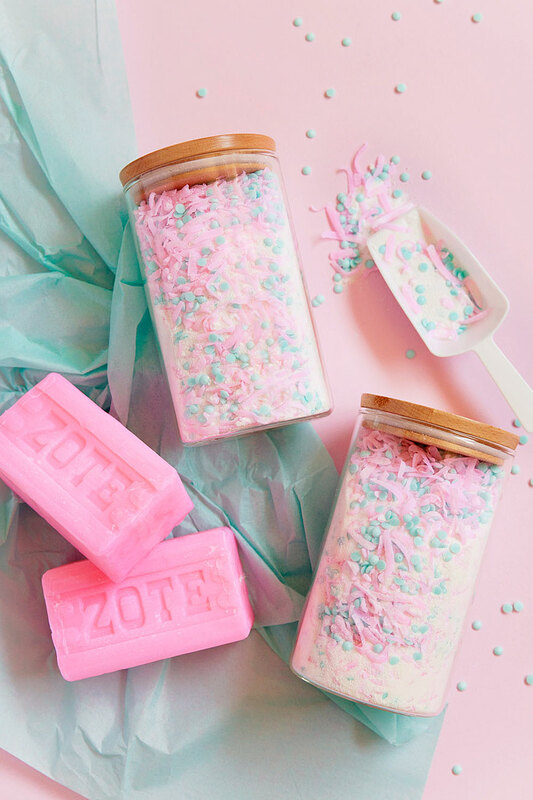 -Put your pink paint on a plate and add water. You want the consistency to be very thin. It makes it a lot easier to put on the paint and makes the color stay consistent and not too bright in some areas. -Then cut the other side of your crepe paper to the size you want. Paint the other side. -Let dry, it doesn’t take long, then voila! 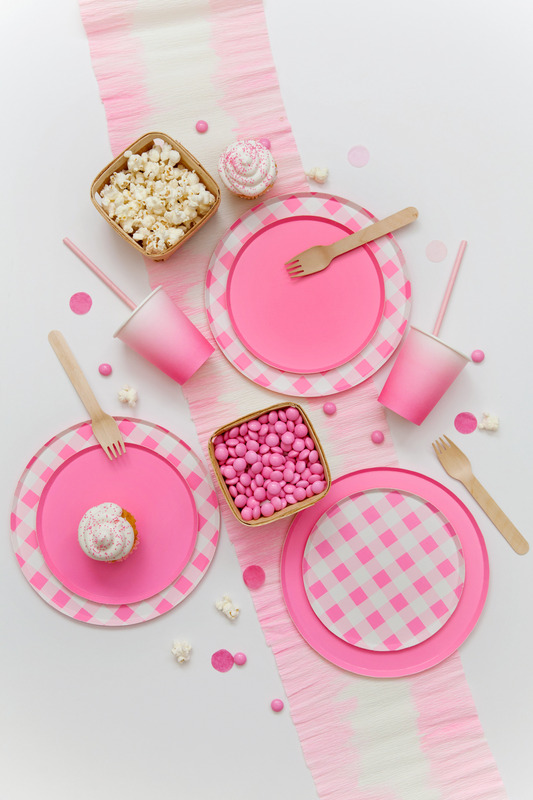 Now, who is going to throw a pink picnic???? That is so cute! I’m not a big fan of pink, but seeing all this together makes me reconsider that. Love the plates!